Built in 1767- 69 by Lutheran Protestants who came to Georgia in 1734 after being exiled from Catholic Salzburg in Europe, the church is officially name Jerusalem Church. 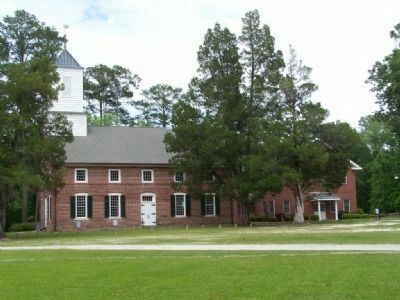 It stands on the site of a wooden building probably erected soon after the congregation moved from Old Ebenezer to New Ebenezer in 1738. During the Revolution the British used the Church as a hospital and stable and the metal swan on the belfry still bears a bullet hole. 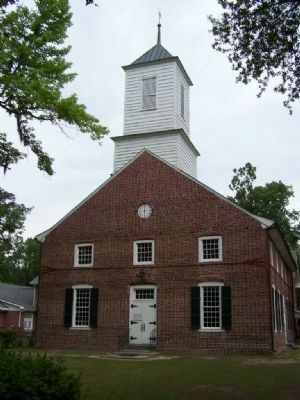 Though the town of Ebenezer no longer exists the Church has an active congregation of about 450 members. Location. 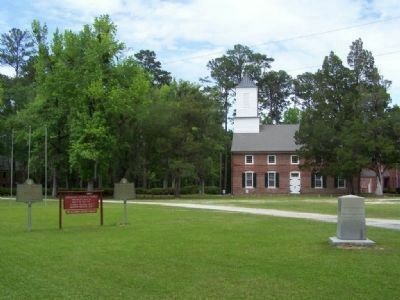 32° 20.137′ N, 81° 15.437′ W. Marker is in Rincon, Georgia, in Effingham County. 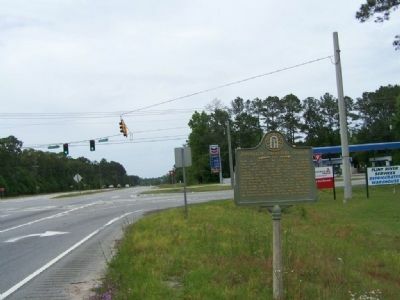 Marker is at the intersection of Ga 21 and Ga 275, on the right when traveling west on Ga 21. Touch for map. Marker is in this post office area: Rincon GA 31326, United States of America. Touch for directions. (approx. one mile away); Historic Taverns on this Road (approx. 2.3 miles away); Effingham County Methodist Camp Ground (approx. 3 miles away); Sherman's Left Wing (approx. 3.7 miles away); Confederate Memorial (approx. 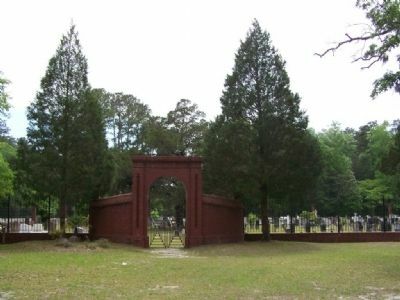 4.2 miles away); Effingham County Veterans Memorial (approx. 4.2 miles away); Effingham County (approx. 4.3 miles away); The Salzburgers (approx. 5.1 miles away). 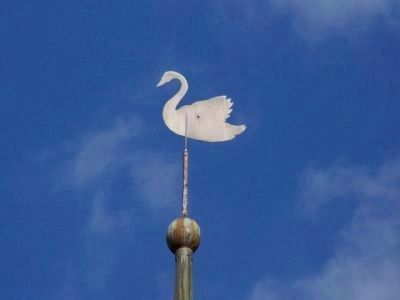 Notice the swan, copied from the coat-of-arms of Martin Luther, topping the belfry tower. More. 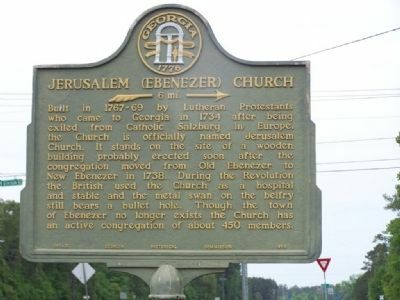 Search the internet for Jerusalem (Ebenezer) Church. Credits. This page was last revised on June 16, 2016. 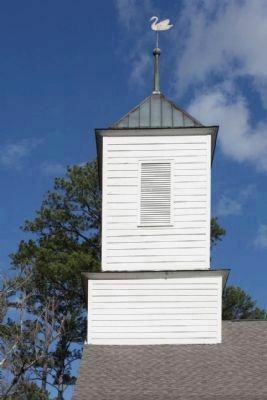 This page originally submitted on May 6, 2008, by Mike Stroud of Bluffton, South Carolina. This page has been viewed 2,551 times since then and 15 times this year. Photos: 1, 2, 3, 4, 5, 6. submitted on May 6, 2008, by Mike Stroud of Bluffton, South Carolina. 7, 8. submitted on December 19, 2008, by Mike Stroud of Bluffton, South Carolina. • Kevin W. was the editor who published this page.